It seems that making an envelope style hat (as pictured above) might be a little confusing, so I would like to provide everyone with a quick how-to guide with pictures. I love the way these look when worn as I think it provides just a touch of unique flair. 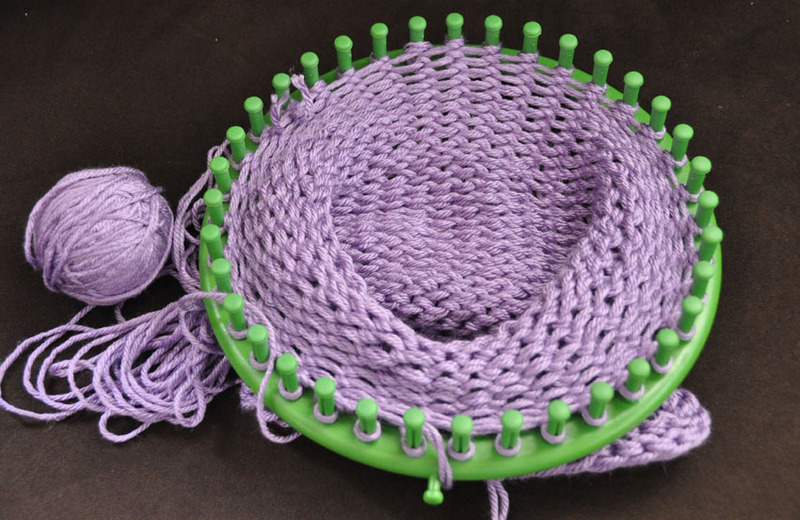 The hat is not difficult to make- really the only thing that is different than a normal loom knitted hat is how to close it. For the brim, I did my usual garter stitch (1 row purl, 1 row knit) for 6 rows. I then proceeded to e-wrap the hat until my desired length. This will be a hat for a child, around kindergarten aged, so I made the hat 5 1/2 inches long. Thread a tapestry needle with a different color yarn so you can see the last row loops clearly. You can take the hat off the loom and it will be open with the yellow (or different color) yarn in each loop. Once the hat is off the loom, with the yellow thread in each loop, you should match up 2 loops together. 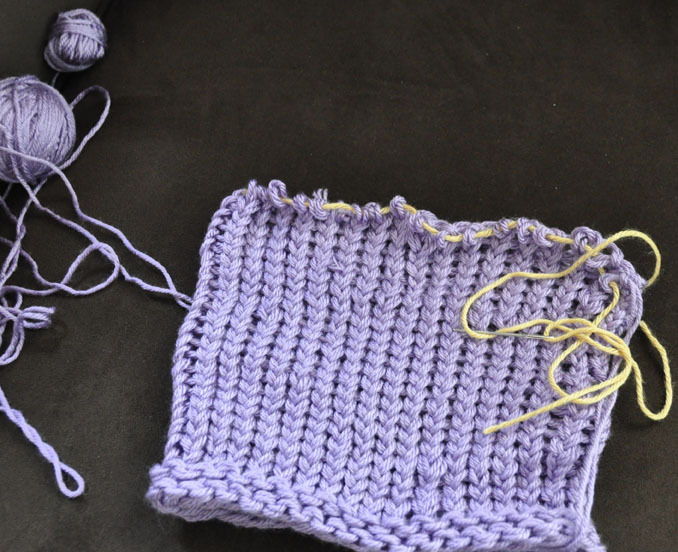 With an appropriate sized crochet hook, you will then single crochet the coupled loops together. Once the entire top of the hat is closed with a single crochet (each loop is coupled and closed together with a single crochet), you can pull out the yellow (or differing colored) yarn out of the hat and discard. You have now completed an envelope styled hat. You can adorn the top with pom-poms or tassles. 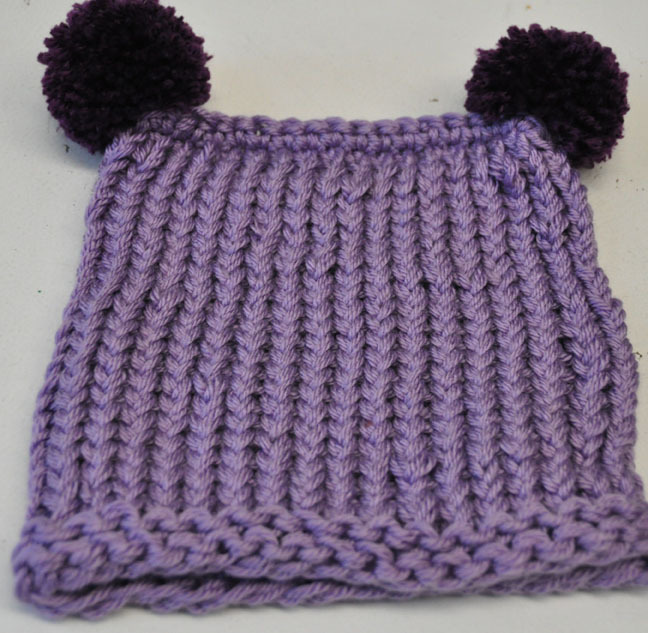 You can embellish the hat with a face or flowers to your heart’s desire. I hope that you will find these directions and pictures easy to follow. Please comment if there is anything you find unclear. May you have a fantastic day!